Every year the number of smartphones bought and used across the world increases dramatically. 2010 saw a 130% increase in mobile search compared to the previous year, which tells us one very important thing: more people are hitting the internet from their phones than ever before, with no sign of the trend slowing down. For this reason the leading major UK bookmakers have put their weight behind mobile apps and webpages which offer the full-feature sports betting experience in the palm of your hand. Check out the list below for a list of bookmakers leading the way in the mobile betting world. One of the oldest bookmakers in the UK continues to be one of the most innovative and William Hill continues to lead the way with a big offering of live wagering and some of the most extensive live streaming options out of any major bookmaker. You can bank on one of the more appealing welcome bonuses in the business with some very simple terms and conditions - which makes William Hill an easier site than most from which to take your bonus money back. William Hill offers a state-of-the-art bookmaking platform, with more markets than just about any other betting option. With one of the most recognizable names in the gaming industry, it’s no wonder why William Hill boasts one of the most heavily trafficked gaming websites in the world. If you already know the name and just want to get a free bet, head to our review to use our William Hill promo code. For William Hill Sports, bet £10 and get £30 in free bets. New William Hill online customers only. Min. unit stake of £10/€10 at odds of 1/2 or greater. Only the “win” part from EW bets will count. 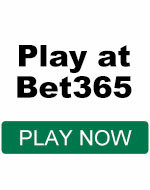 Free bet terms, payment method & country restrictions apply. 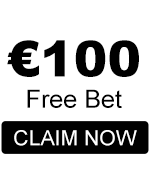 Free bets credited as 3 x £10/€10. 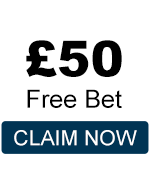 Free bet stakes are not returned as part of the settlement of successful free bets. All Free Bets must be wagered within 30 days. While you can bet on just about any sport you please, Will Hill has focuses the majority of their focus on football and horse racing. Unlike many other UK based bookmakers, Will Hill offers markets on horses from around the world, including America and Dubai. A William Hill account will help you stream everything from snooker to football to major ATP and WTA Tennis events as well. This is a great option for tennis punters who are going to be wagering on matches that feature players outside the top 25 - it’s always going to be a lot easier to follow along this way than relying on text updates. In addition to their world-class bookmaking service, William Hill also offers poker, casino, bingo and skill games integrated to all of their users. With industry leading bonuses and enhanced multiples on football accumulators, William Hill has proved to be the bookie of choice for many. BetVictor is the latest incarnation of a name that has been synonymous with UK wagering for decades now. Their website has proudly announced themselves as an Authorized Betting Partner of the British Horse Racing Association, which is a distinction that many other bookmakers do not have. BetVictor not only bases themselves in the UK but they contribute their proper amount to the horse racing levy and deserve the business of racing punters looking to help keep UK racing strong. They are a full-service wagering facility wth all sorts of different ways to get your money down but the sportsbook continues to be the core of their offering to the public. BetVictor focuses on reaching out to as many people, in as many ways, as possible. They offer their entire site in a wide range of languages, and offer bets in almost every major currency from around the world. In addition to providing top-notch browser-based accessibility, BetVictor was one of the first online bookies to provide their users with a stand-alone mobile betting platform, offering the same markets and odds as the site, but allowing you to place your bets from anywhere your mobile has service (or wifi). Without a doubt, BetVictor has proved to be one of the web’s leading bookmakers. With a reputation built from having the most creative and exciting cash-back promotions in the business, Paddy Power has consistently grown in size year over year. One example of their creative cash-back offers has been for some football matches, where if the final goal was scored by a header, all losing score and goalscorer bets would be refunded. Virtually everyone is familiar with Paddy Power thank to their cheeky commercials and massive social media presence but they also offer up a lot more than just banter with their excellent sportsbook and horse racing coverage. They have been acquired by Betfair and now offer up even more options for punters. Paddy Power has long been known as the bookmaker of choice for a number of punters who specialize in horse racing. In fact, Paddy Power typically has the fixed odds markets up for major races several hours before any of the competition does and this allows savvy punters the opportunity to have first crack at Paddy’s prices and price in potential value as their fancies drift in as the race gets closer. Paddy Power has remained intensely focused on the UK and Irish markets, ignoring some continental coverage provided by other bookmakers. Fortunately, Paddy Power more than makes up for its lack of international markets with their sheer number of creative promotions and wagers on offer. Over the last couple of years, Paddy Power has made a large push towards providing the best odds online for horse and dog racing. While no site can always have the best odds online, Paddy Power always comes close. Unless you’re looking to place the majority of your bets on competitions from other parts of the world, Paddy Power is one of most entertaining bookmakers in the business. Betfair is, hands down, the king of the betting exchanges. While it might seem daunting to a novice, this form of betting is often easier, and almost always offers better odds than any other site. The idea here is simple: instead of placing your bets with the bookmaker, at the odds set by them, you place your bets with other users, by the odds they (or you) set. Betfair has been one of the biggest names in the sports betting world for well over a decade now and they are continuing to make strides and innovate to set best practices in the industry. There is obviously Betfair’s massive online betting exchange where punters can both back and lay their selections on a wide variety of markets. For the advanced betters, especially those interested in horseracing, having the ability to take or make the bets as you please allows you to back and lay on the same event or race. Thanks to the site being more approachable, and lucrative than many others, it’s no wonder Betfair is one of the best known names in UK sports betting. Dating back as early as 1967, Betfred has more-than earned its reputation as a top UK bookmaker. Thanks to launching their website and becoming the official betting partner of Tottenham Spurs, Betfred have grown into the world’s largest independent bookmaker. BetFred have been a growing presence in the UK and surrounding areas for the last few years and their profile is enhanced thanks to their acquisition of Totesport. Their sportsbook boasts plenty of features including live streaming and the new cash out option. For quite some time they have been referred to as The Bonus King and they have developed a reputation as a great place for new punters since they have a number of different help sections and explanations of many complicated wagers are available right on the home page. You’ll find plenty of live betting markets on things live football and tennis and their horse racing offering has increased in recent years and they offer extremely competitive prices on all UK & Irish races, in addition to plenty of great options on international and ante post races. The site itself is extremely easy to use, with in-depth tools and features for the more experienced betters. The first page you’ll see features a well-placed list of the current live betting markets, making it easy to get in on the action, without having to play hide-and-seek. While the site offers markets on a wide variety of sports, their odds and markets for boxing is where they really shine. If you live near a local shop, you can be happy to hear that one account can do it all. Whether you betting online, with a mobile app, on the phone or in person, everything can run out of a single Betfred account keeping things simple. If variety of sports and markets is what you’re looking for, click your way into a bwin account post-haste. While they don’t always offer massive deposit or match bonuses, the site offers great odds on an extremely large number of markets. Everything from Aussie rules and Nordic combined to Schwinger – Swiss folk-wrestling, can be found here. The site’s design is intuitive and in-depth, letting the user browse with ease through their many sections. While it’s not the only feature offered, once used the calendar tool at bwin can become irreplaceable. The site itself has been around for more than a decade, but has only been known as bwin for a couple of years. Originally known as Bet and Win, bwin re-branded itself and made a huge push towards branding in the UK market, including sponsoring AC Milan and Real Madrid. To top it all off, bwin offers one of the best poker rooms of all the UK bookmakers, and provides nearly 70 different casino games, with some massive jackpots up for grabs. Since giving their users the ability to customize the view of their betting interface, Unibet users have the luxury of only having to see the events and odds which interest them. The events not chosen as your preferred view are all just a click away. Another way Unibet stands out from the crowd comes from their wide range of creative promotions. If you’re anything like us, you’ll agree: you can never have too many promotions. In addition to all of the standard sports and horse-racing offers, Unibet provides excellent coverage of French horseracing, something not always found on other bookmakers. The site offers a wide range of languages, and has their own casino, poker and skill games section, making them a formidable opponent for any of the big names sharing the same space.